If you didn’t already know how important mobile was in tourism, the above figure should make that point. 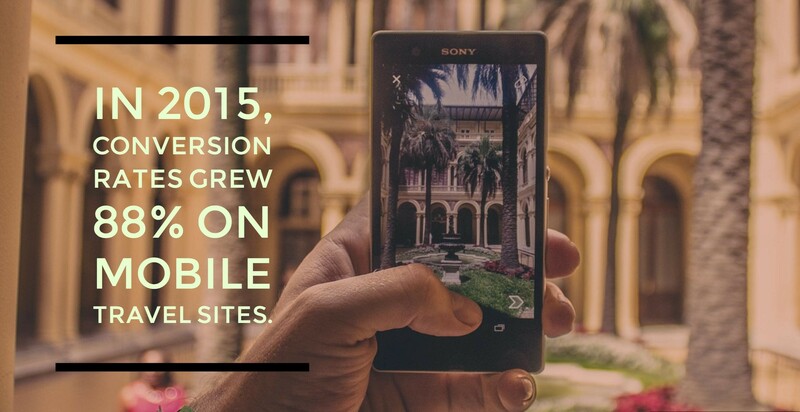 In 2015, the number of travel bookings that happened on mobile increased by 88 percent. This number continues to grow exponentially in 2016. For many travel and tourism business owners, the expectation is that if their business has a mobile site, they are meeting the needs of their customers in this increasingly on-the-go world. However, the reservation procedure, from consideration through final booking, involves so much more than just a mobile-friendly website because the process involves many more steps than simply confirming a reservation. Being visible throughout the mobile-intensive research process can help your brand stay top-of-mind before, during and after your customers’ travel. 1. SHOW UP IN THEIR SEARCH. Step one in winning this travel game is showing up in the conversation, and that’s primarily through improving your search rankings. Thirty-eight percent of non-branded searches (like “Hotels in New Orleans”) come from mobile devices. 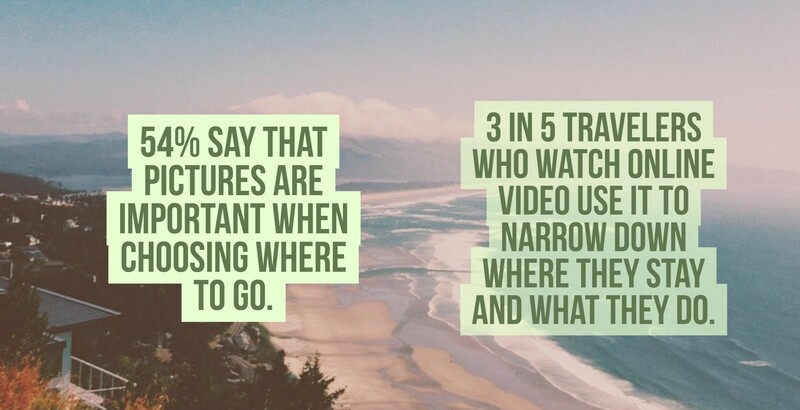 When planning your search strategy, think about what questions a traveler would want answered when researching. If you are one of our Louisiana-based clients, being seen in the search results for terms like “honeymoon destinations,” “fishing trips” and “best food destinations” will give you the greatest results. In these initial trip-planning steps, your traveler is using their phone for planning their trip as a quick escape from the day-to-day. What’s better than beautiful pictures and inviting video of their upcoming vacation in between meetings or chores? To sell your location, it’s important to paint a rich picture of the experience. Use video to bring that picture to life. On average, a traveler will look at 38 websites before booking their hotel. What other people are saying about the destination ultimately drives the final decision. As a result, it’s critical to not only encourage guests to provide feedback on review sites and share on social channels, but to monitor, manage and respond to all channels. To get authentic content, suggest brand hashtags, repost/retweet location-tagged content and encourage guests to provide reviews after their visit. Half the fun of a vacation is planning it. So make sure your brand is visible during these key preparation steps by showing up, being part of the daydream and then reinforcing the customer’s decision by encouraging others to talk about the experience. How would you rate your mobile experience? Tweet us @DEVENEYMKTG and let us know.